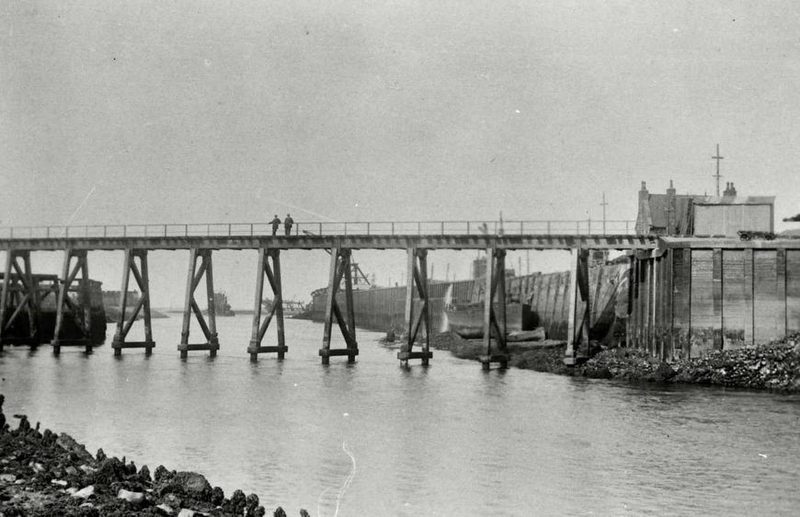 In the days when the only transport was either walking or on the back of a horse, a safe haven for the use of boats was highly desirable, and Workington was just that. It had easy access up a river at high tide and had very sheltered inlets to moor a vessel. As early as 1590 reports relate to a fleet of fishing boats using this haven, but by the early 1700's trade was increasing fast with coal to Ireland and lime to Scotland being the primary cargoes out and timber from Scotland the primary one in. 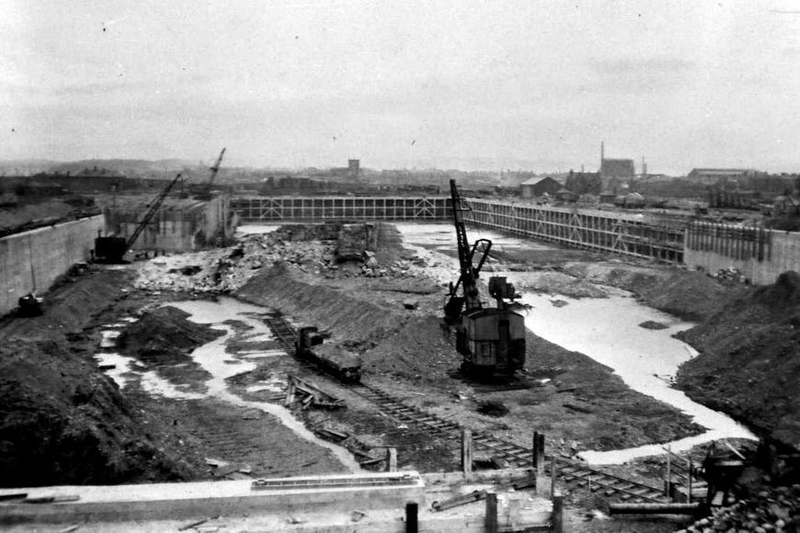 1775 saw ambitious plans drawn up to increase and improve the existing quays along the river bank and the inlets. 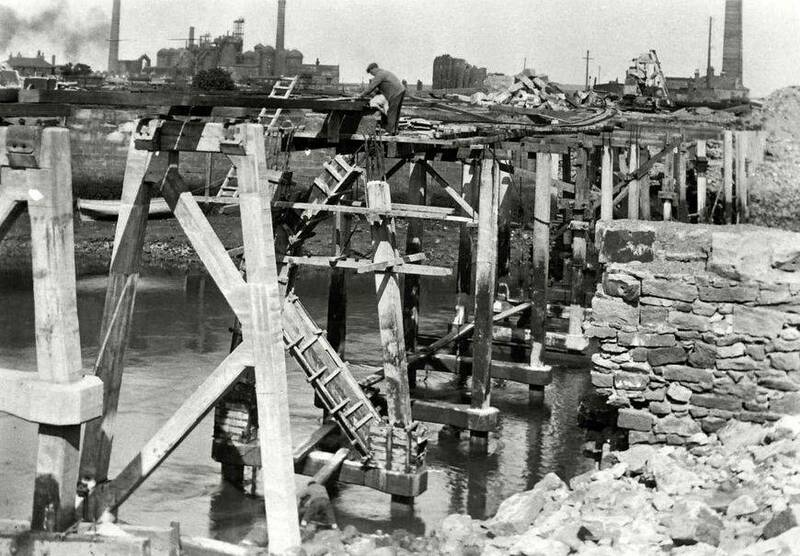 With trade continually increasing it was decided to build a dock on the north bank of the river Derwent, this was open for business in 1862 and was to be called the Lonsdale Dock. 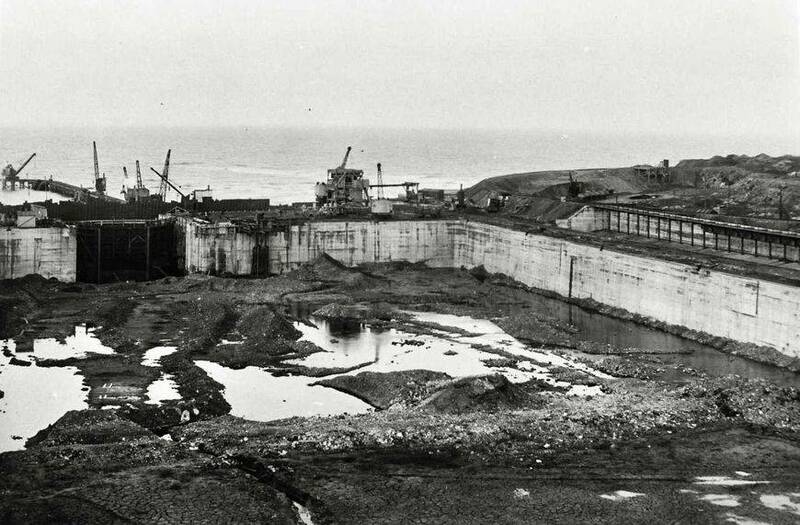 Ships of up to 400 tons could now use the new port, but there were some problems. 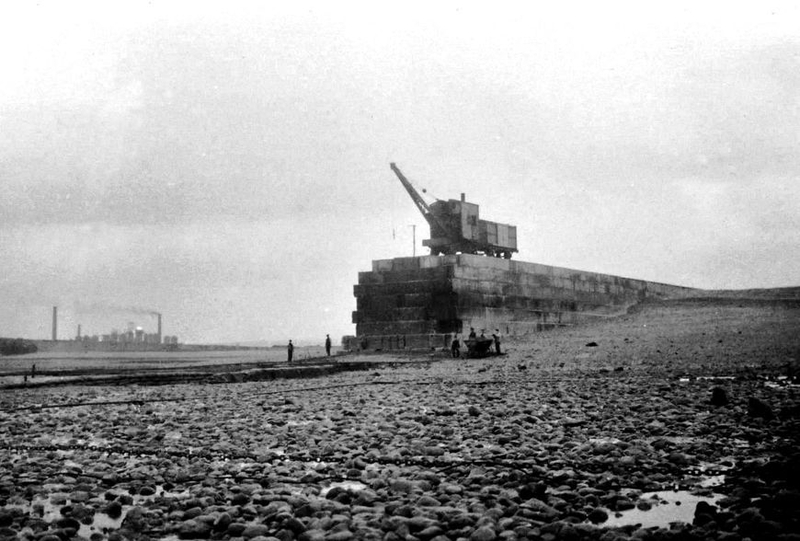 The dock entrance led directly into the river, so when vessels turned the 45 degrees required to line up for entry the rivers current would then push the side of the ship out of line with the entrance causing many raised eyebrows no doubt, also, there was restricted space available for the manoeuvre. 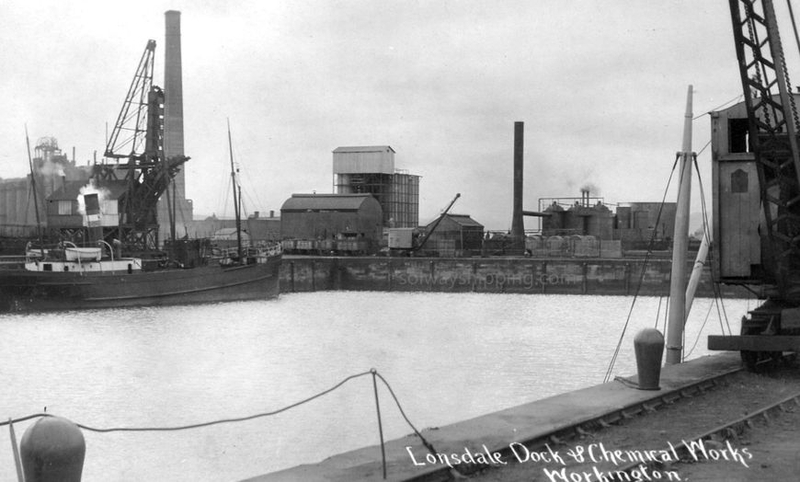 By the end of the 19th century trade was booming and something had to be done about the docking problems, so plans were made to enlarge and improve access to the Lonsdale. 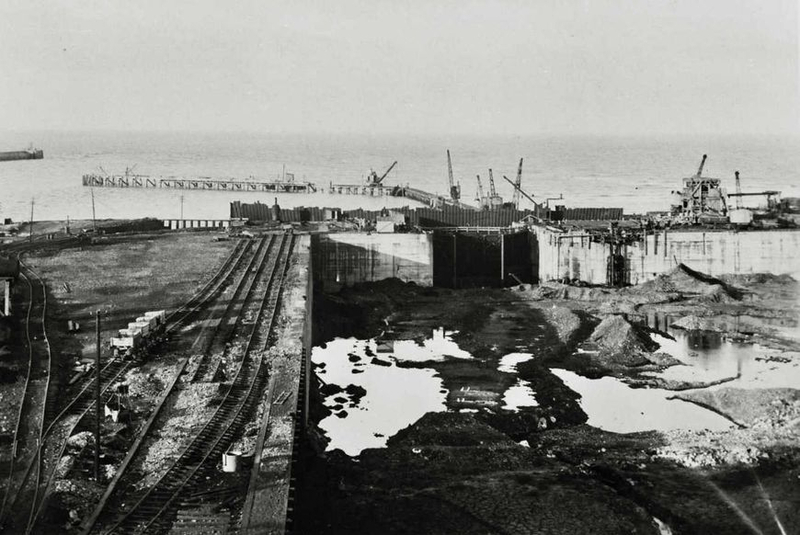 After many delays and setbacks, work finally got underway and the grand new Prince of Wales dock was officially opened by the then Prince of Wales (later King Edward V111) in June 1922. This new dock, with its entrance facing north west and the sea, could now handle ships of up to 12,000tons and 450' in length with ease. 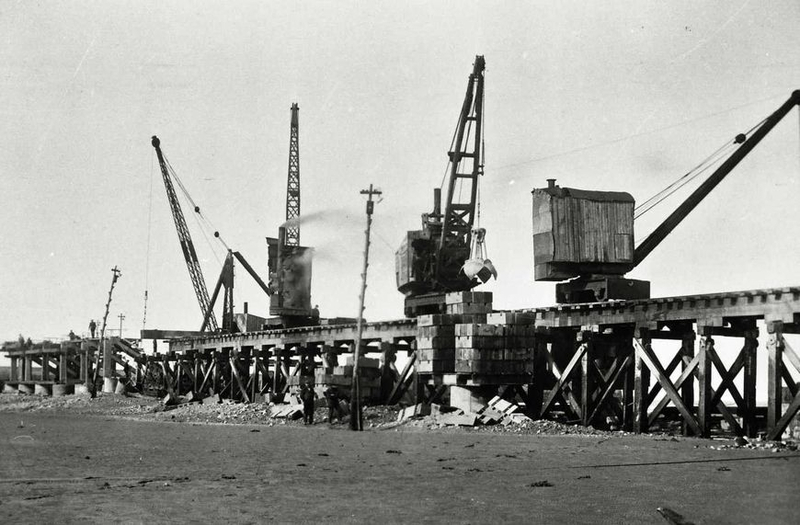 Nowadays, with the demise of steel making, and the port no longer handling the large ore carriers which was its mainstay for many years, the required dredging of the channel into the port has been reduced, when the ore carriers were using the port the dredger cleared the channel right to the edges and beyond but nowadays the dredging is kept to the minimum requirement. Looking at the north west corner and the new gates position facing the sea. And a view of the other side now. In the background is the new north pier being constructed to protect the new entrance from the rough seas which it is now facing. 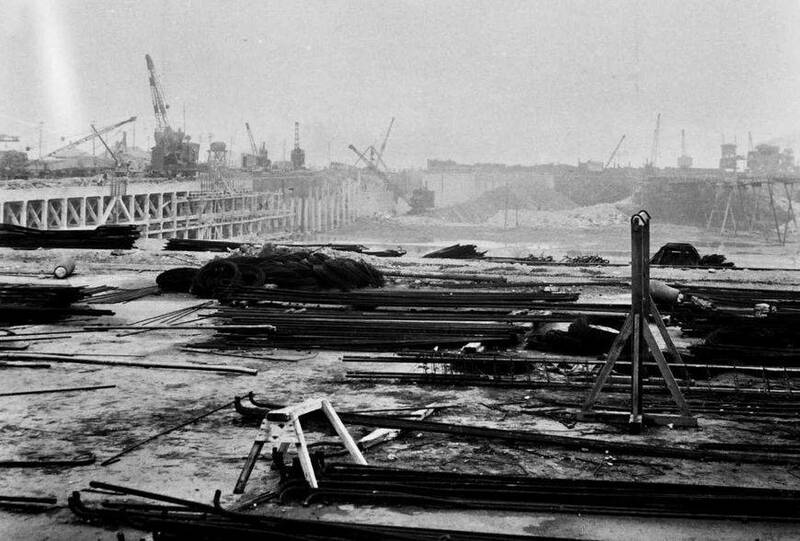 Looking back towards the old Lonsdale dock from the new entrance, the old entrance is on the right hand side roughly above the large crane. A view of the entrance channel. 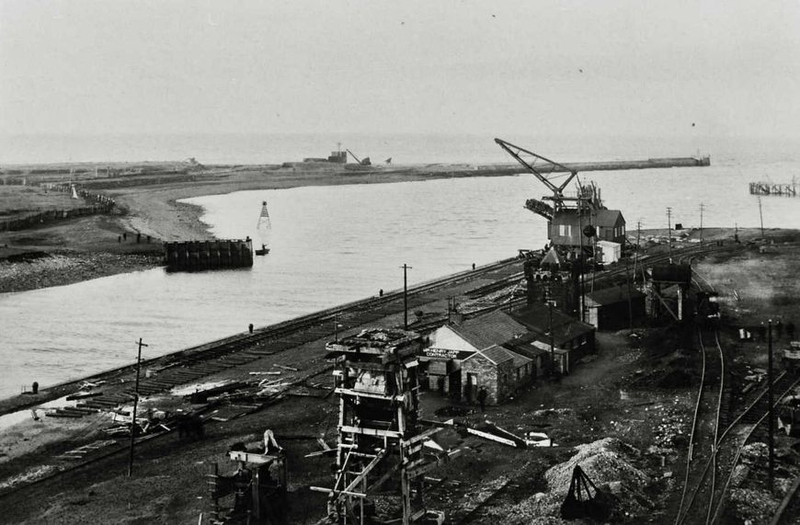 The old John Pier can be seen centre in the background, and the new pier to the right of it, the new north jetty is just visible far right. 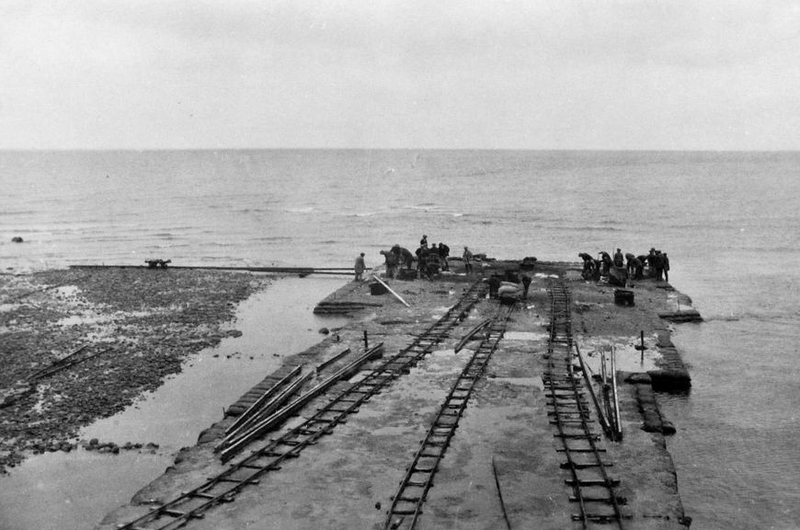 A closer look at the foundations going in for the new pier in the next two photo's. ...and the finished bridge. It was still in use in 2008/2009 until badly damaged by the storms and floods that hit the region in November of 2009. Check out the "2009 Floods" page for views of the damage.